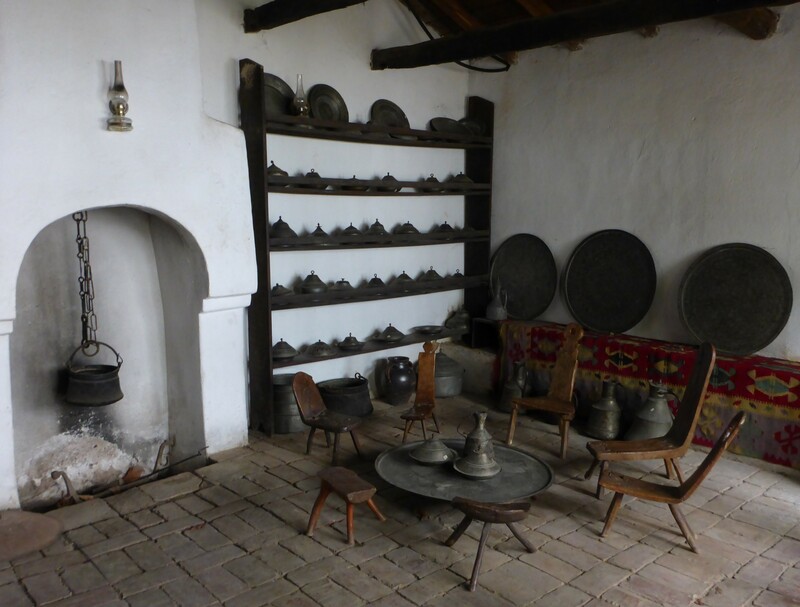 The ethnological museum in Pristina. 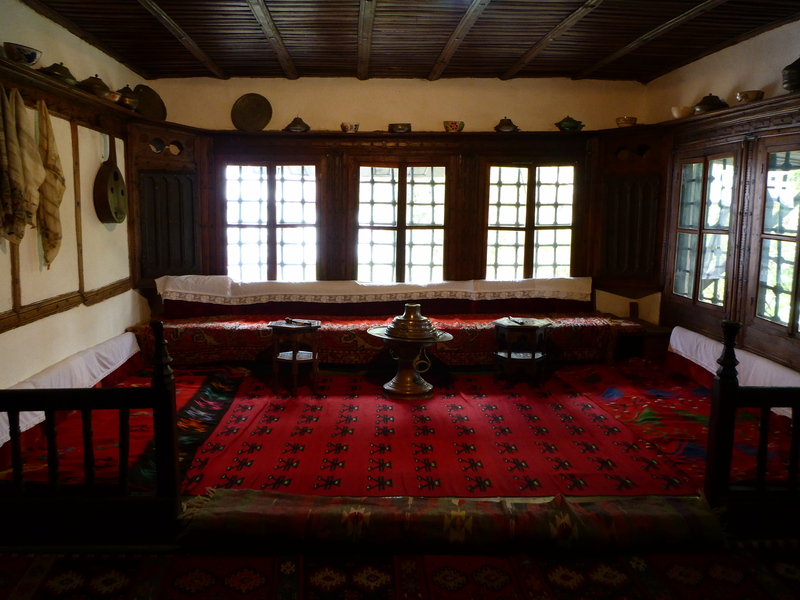 The ethnological museum in Pristina is situated in beautiful well-preserved buildings from the 18th and 19th century, and holds many interesting artifacts. The exhibition is representing all the phases of life – from birth, everyday life and death. A large part is devoted to the different clothing, especially wedding clothes. The guide took us through two of the houses, telling us about the use of the different rooms, the historical details of the area and interesting facts about the way of life. He was extremely informative, and we left with a lot of new knowledge and understanding. Guest room: the room for the guests when visiting. They often has their own entrance. Wedding clothes: Examples of wedding clothes. 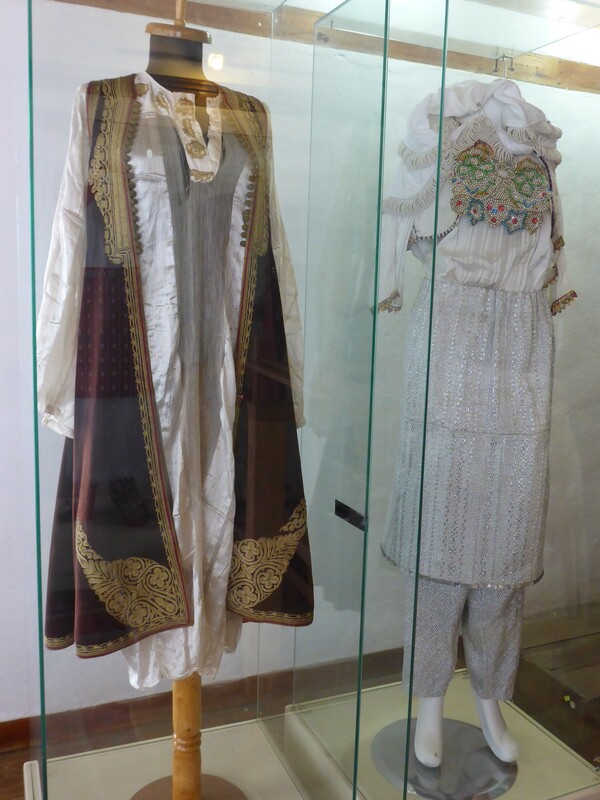 There were many kinds of wedding clothes, also reflecting what region they came from. 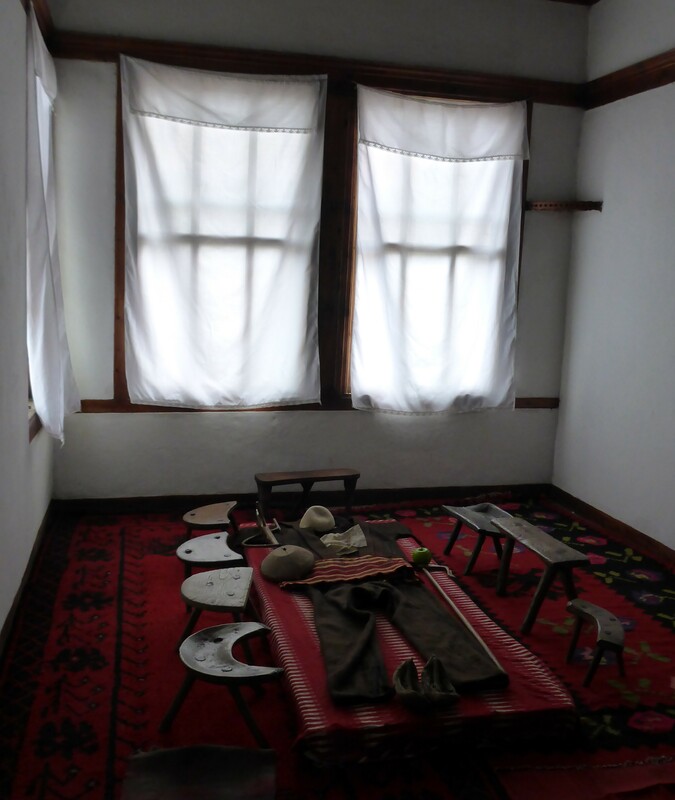 Death room: The dead were buried the same day they died, but their clothes and tools representing their work and life were put in the death room where the family could go to grief.